Senior loneliness is a serious threat to the physical and mental well-being of seniors in Lexington, and around the country. There are many ways to help overcome social isolation and the depression that often accompanies it. Fortunately for seniors living in the Metrowest Boston area, there are many age appropriate activities available to the local elder community. Even if your aging relative lives alone or is under-stimulated in assisted living, you have opportunities to engage them in shared activities. Lack of companionship and senior loneliness puts elderly people in danger of declining health and functioning. More than 1600 seniors were followed in a University of California study. The study found a much sharper decline in lonely seniors’ ability to perform daily tasks (bathing, cooking, dressing) than in the socially connected seniors. Seniors who consistently eat alone often lose weight and suffer malnourishment issues such as anemia. Blood pressure in older adults who were more socially isolated rose significantly more than their less lonely peers, the University of Chicago reported. Your home health aide is an essential buffer between your elderly parent or spouse and their risk of spending too much time alone or ignored. They can facilitate any of the following options by providing transportation, companionship, guidance, encouragement, and meal planning. Volunteering: Research shows that seniors age 65 and older who volunteer report significantly lower depression than their non-volunteering cohorts. * Volunteering can include group activities like working bake sales, stuffing care packages, or handing out water on fundraising walks. Senior Center activities may include group lunches, lectures, and games. The Lexington, MA senior center has scheduled ping-pong, outings and speakers. The senior centers are open to all nearby residents. Local churches and other places of worship often hold senior friendly events during the week when your home caregiver is available. They may have regular or occasional game days or game nights. Silver Sneakers: If your loved one is relatively physically mobile, you or the home health aide can take them to a Silver Sneakers class at your gym. Or this gives you, the family caregiver, about a half hour to sneak in your own workout. Small dogs can be great companions for adults living alone. They’re a great excuse for a daily walk in the park, and are a natural conversation-starter. Dinner together: In addition to having dinner with your loved one when you can, you might consider asking for a home health aide to stay to prepare and share dinner once a week. This solves three issues at once; it punctuates the week, provides meal companionship, and ensures that that they will eat a healthy, home-cooked dinner at least once a week when you’re not there. A healthier, less needy older parent, aunt, or grandparent means a less stressful family caregiver! 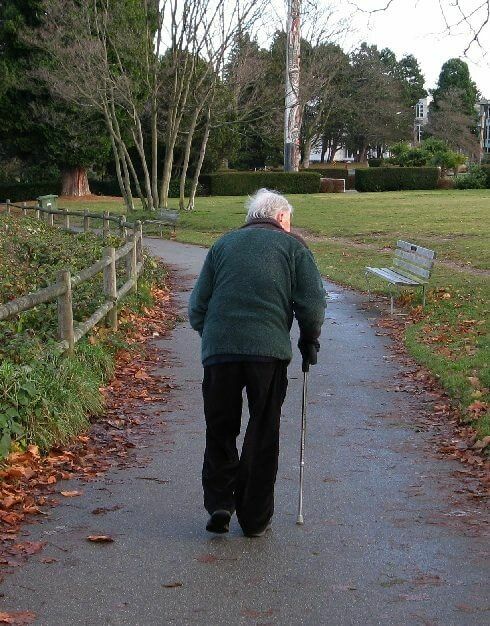 Even in a large metro area like Boston or an upscale suburb like Lexington, Massachusetts, senior loneliness takes hold when elderly people are unaware of or unable to make plans, access transportation on their own, or socialize in an unsupervised setting. So make it a priority to include companionship in their daily and weekly schedule to combat senior loneliness. Minute Women is a private home care company in Lexington, MA. Our number is 781-862-3300.